Coronia Hotel is a low budget hotel located at 2B, Aina Jegede Close, Ajao Estate, Lagos. 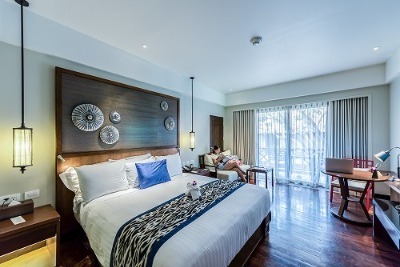 Designed to suit each guest’s needs, it boasts an elegant and convenient accommodation in various room categories. The room categories include Standard Room, Executive Room, Executive Suite and Presidential Suite. Each room houses a number of facilities such as an air conditioner, a king-sized bed, a study desk, a lamp shade, an en-suite bathroom, a wardrobe, a study desk and a TV. It offers complimentary breakfast to guests. A number of facilities offered by Coronia Hotel include free Wi-Fi internet services, a conference room to suit your business needs, a multipurpose event hall, a gym and a swimming pool for your workout needs, a hair salon and a business centre. Freshly cooked dishes can be ordered from the on-site restaurant while you can have fun; you can also make new buddies at its in-house lounge/bar. It offers laundry/dry cleaning services, car rental and a 24-hour room service and electricity. Guests can rest assured of maximum security provided by the well-trained security personnel. Coronia Hotel is a 13-minute drive from Murtala Muhammed Airport, Lagos. Check in time: From 12:00 pm. Check out time: By 12:00 pm. Children: Kids not older than age 3 can stay for free. Q: Is there a swimming pool in Coronia Hotel? A: For guests’ relaxation, there's a standard swimming pool. Q: Does Coronia Hotel have cribs? A: There are no provisions made for cribs. Q: Does Coronia Hotel offer complimentary breakfast? A: Complimentary breakfast is available on request. Q: Are there car services available? A: Car shuttling services are available on request. Q: Is there a free Wi-Fi facility at Coronia Hotels? A: There is free Wi-Fi access in each room. Coronia Hotel is a budget hotel in Ajao Estate, Lagos. I really enjoy my stay and the staff are respectful and friendly. The environment and room is very neat .The pool area was also very clean. Honestly I don't write reviews but Coronia is a place to visit whenever you are at Ajao . The customer service is a 10/10 . I got to the hotel very late, the reception I got was quite warm. It was very homely. The room was already cleaned, beddings well-laid, toiletries were already made available. There was nothing worth complaining about, rather I had things to praise the hotel for. I felt fulfilled. I hope to stay in this hotel again. I have stayed here a total of 6 days this year. The maintenance culture has diminished. Standard is diminishing. Room inspectors are not doing their job anymore. The new female manager is still ‘new at work.' I will give it another try. Have nice pictures of Coronia Hotel?